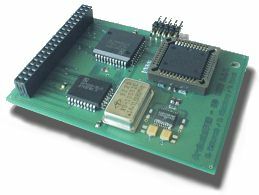 The MPEGit is an expansion module for the Zorro II version of the Prelude sound card which offers hardware playback of all current audio-mpeg layer2 and layer3 streams at all common bitrates. It contains a DSP manufactured by Micronas-ITT and supports MPEG 1, MPEG 2, MPEG 2.5, Layer II (mp2), and MPEG 2.5, Layer III (mp3) audio streams up to 48Khz with bitrates up to 386Kbps. As the MPEG streams are decoded in hardware it means that almost no load is placed on the system. It also contains a high quality 24bit D/A converter and features controls for volume, bass and treble. The MPEGit module is supported by all newer versions of AmigaAMP (v2.3 and up) for powerful and comfortable playback of all audio-streams combined with a nice and flexible GUI.